I’m sure you’re all familiar with this story, which is another staple of the myths, legends, fairytales, and folklore that underpin fantasy generally. The prince or princess may actually be disguised as the farm-boy/gal, or similar person of comparatively low degree (e.g. King Arthur is Sir Ector’s youngest son and squire), just as Aragorn (the true King of Gondor) goes disguised as Strider, a Ranger, in Tolkien’s The Lord of the Rings. Just as the farm-boy/gal is a person of low degree, the prince or princess is very often the youngest son or daughter and also often held in scant regard by his/her parents and siblings. The farm-boy/girl and prince/princess traditions also closely align in that both require the protagonist to embark on a journey in which s/he either overcomes tests or discovers a long-prophesied destiny. Frequently, though, the journey will include both aspects. I am sure that you, as readers, will almost certainly recognise the neglected youngest prince/princess (or simply son/daughter) approach from innumerable fairy and folk tales, such as Prince Ivan and the Firebird (Russia) and the Frog Princess (which Italo Calvino, in Italian Folktales, noted had variants throughout Europe.) However, Shakespeare’s King Lear also draws on the tradition in the person of his youngest daughter, Cordelia. Another variant of the prince/princess tradition may also be the eldest or only child who falls from his or her high degree through hubris (overweening pride), which triggers the prophecy and the journey (which is often—as discussed last week—both internal, ie emotional and spiritual, as well as external in nature.) This particular tradition is deeply embedded in the Greek myths in particular, where hero-princes such as Oedipus, Theseus, and Jason, and Queens such as Niobe, all suffered the ill-effects of hubris. 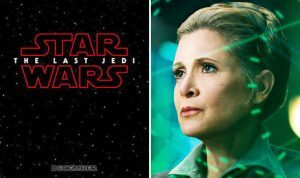 Yet another variant of this tradition, which links to both the princess/princess in disguise and the fall-from-grace trope, is that of the prince-or-princess in exile. 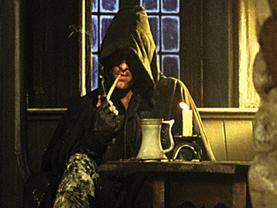 Aragorn may be the exemplar of this tradition, but there are many other examples. So now let’s take a look at what will be A Very Few of the examples of princes and princesses that populate epic fantasy and who—like their counterparts of lower degree—must go on journeys and discover their prophesied destinies. 1. In George RR Martin’s A Song Of Ice and Fire series (televised as A Game of Thrones, the title of the first book) the children of Ned and Catelynn Stark (five legitimate and one base-born), together with Daenarys Targaryen, fit the overarching tradition of princes and princesses being cast forth to overcome tests and find/fulfil destinies (in a very harsh world). Daenarys, with her inheritance of dragons and claim to the throne of Westeros, is probably the most obvious example of the main trope, but Arya Stark and Jon Snow also epitomise the roles of a prince/princess in hiding and/or disguise. When last encountered, either in the book or the TV series, both Bran Stark and Sansa Stark were also on the way to fulfilling the destinies that began with the initial finding of their totem direwolves. 2. Aileron, Crown Prince of Brennin, in Guy Gavriel Kay’s Fionavar trilogy, who is disguised as a woodsman-servant when initially encountered in the series. Aileron is also an example of the prince-in-exile. 3. A princess in disguise and another exile (one who may no longer be as well known as she should be, imho) is Aidris in Cherry Wilder’s A Princess Of The Chameln. 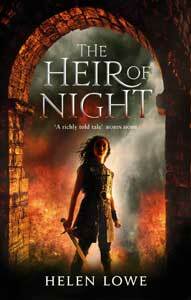 Forced to flee her homeland when only a teen, Aidris serves as a rank-and-file soldier in a neighboring country until she can reclaim her kingdom and her home. 4. Elfrid, in Ru Emerson’s A Princess of Flames, combines nearly all the “princess” traditions: she is a neglected younger princess, who like Jon Snow is also base-born. Elfrid then goes into exile where she serves as a mercenary and also goes disguised as a man. All the tropes with a vengeance, but the story works very well nonetheless and is a longstanding favourite of mine. 5. Another longtime favourite among the “neglected daughter” tales is that of Aerin in Robin McKinley’s classic, The Hero and the Crown. Like Elfrid, Aerin is disregarded by her cousins (rather than siblings, in this case) but goes on to not only slay dragons but save the kingdom from an evil sorcerer. 6. Blaise de Garsenc, in another Guy Gavriel Kay novel, A Song for Arbonne, although “not quite” a prince, is the despised younger son of one of his country, Gorhaut’s, greatest families. Blaise has chosen self-imposed exile and eventually saves Arbonne and seeks to restore honour and integrity to Gorhaut. 7. David Gemmell is one of the famous names of epic fantasy and Tenaka Khan, the protagonist in The King Beyond The Gate, is another exiled prince, one who must eventually choose whether, like Aragorn, he seeks the crown that is his birthright, or chooses to save his country of exile. 8. Merlin, the protagonist in Mary Stewart’s Arthurian trilogy, which begins with The Crystal Cave, is baseborn, like Elfrid, but is raised in ignorance of his destiny. Although his place is not one of low degree, ignorance of his paternity is another form of disguise (and exile), and his place in society is far lower than his father’s. Although Merlin’s choice is not as marked as that of Tenaka Khan, he must also make a choice between destinies. 9. Yarvi, in Joe Abercrombie’s Half A King (the Shattered Sea trilogy) is another prince who is not only ousted from his kingdom and his throne, but sold into slavery far from his homeland. Although in many ways an anti-hero, Yarvi’s journey is nonetheless geographic, in terms of finding his way home, and personal in terms of establishing a sense of self that bridges slavery and his princely heritage–as well as outwitting his enemies, of course. 10. Michael Moorcock’s Elric of Melnibone, from the Elric series (or Saga), is one of the outstanding examples of a prince (or in his case, Emperor) who loses his throne through hubris (he didn’t take his cousin nearly seriously enough) and the rest comprises the saga… Actually, there’s a lot more to it than that, including a soul-sucking sword par excellence, but he’s definitely an epic hero that has to deal with the consequences of his own hubris. At this juncture, those who are The Wall Of Night series readers may say, “But what about Malian?” Quite rightly, since Malian of Night, the series’ central protagonist is indeed a princess equivalent (although her title is “Heir”) with the classic prophesied destiny, who went into self-imposed exile but is now on the epic journey to reclaim her place in Night and endeavor to save her world. And maybe the universe, because if fantasy is to be truly epic then one should not do things by halves! She’s in pretty good company, too, because Laini Taylor’s Karou (Daughter of Smoke and Bone), Shallan Davar, a Knight Radiant in Brandon Sanderson’s Stormlight Archive series, not to mention Leia in Star Wars, are all doing exactly that. .
Last week I postulated that one reason the farm-boy/girl tradition has endured so long is because it provides a vehicle for human aspiration—when characters in fiction rise from humble beginnings to make good despite the odds, it allows every listener and reader to also dream dreams. I believe the neglected/youngest child trope arises out of the same source, i.e that it is not just the elder children—long the ones born to inherit the titles, wealth, and lands—that can succeed. There is also an element of goodness being its own reward, since the youngest princes/princesses are often the kindest, cleverest, and most loving of the children in the tale. The traditions that centre on exile and/or hubris, however, are also grounded in notions of restoration, that sometimes go as far as redemption, i.e. it is not only the right “order of the world” that is restored but flawed characters may also find their way back to that “right order.” Although contemporary epic fantasy does not necessarily adhere to this script, it is an important part of the tradition the genre draws on. As for why princes and princesses are as prevalent a trope as farmboys and farmgirls—maybe it’s just that people have always wanted their leaders to be of good character and trustworthy, as well as successful in peace and war… And directly or indirectly, the traditional stories are telling us that these qualities are what constitute the “right order.” So there you are, you see, we come back again to aspiration and modelling values!